Click on the Title to Go to the Cartoon's Main Page. Recently one of the sites the regularly complains about Terry published a faux cover that is to say the least, unflattering. So we created a response. Send it far and wide. 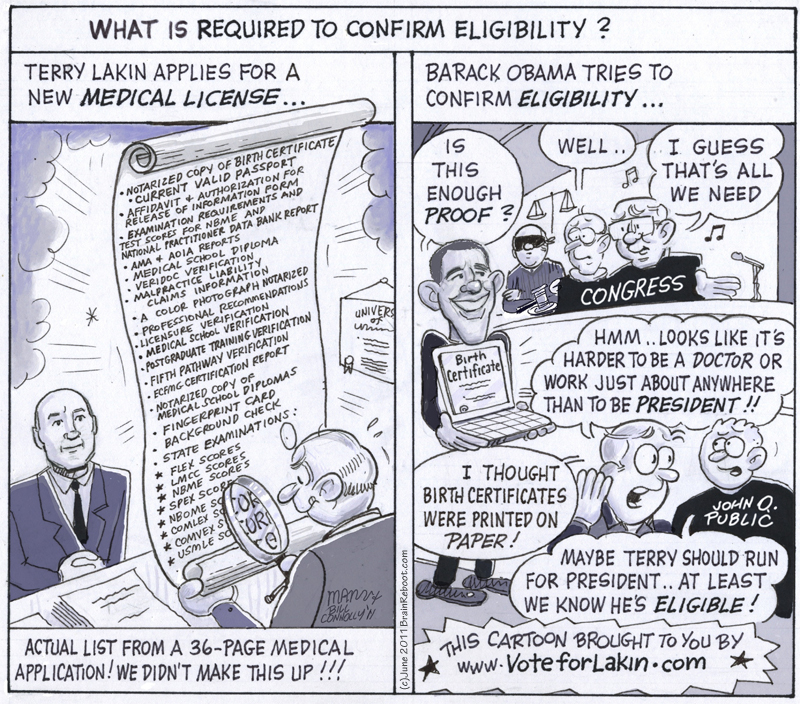 The other day in a phone interview Terry Lakin outlined the bewildering number of documents he had to provide to apply for a license in a state in which he had not previously practiced. The contrast was so great we figured this demanded a cartoon. 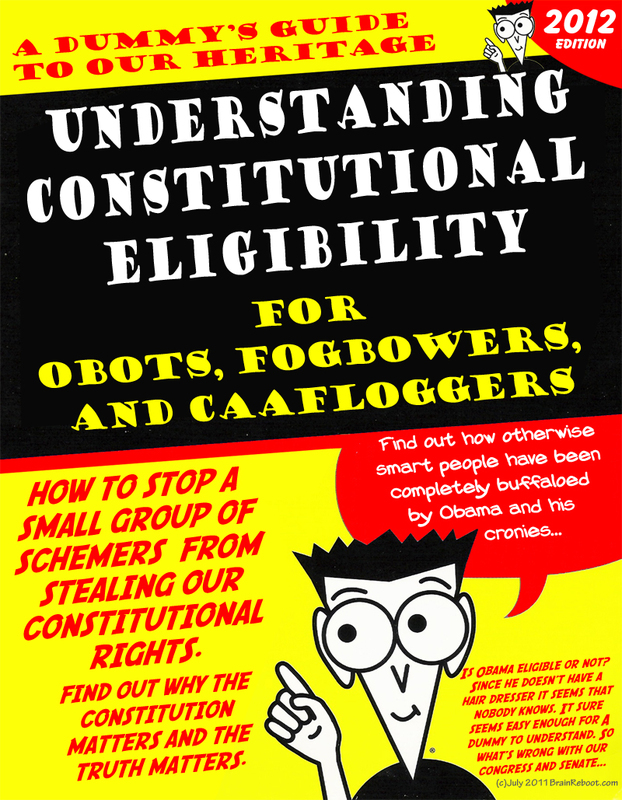 Is the provided document adequate to establish Constitutional Eligibility? 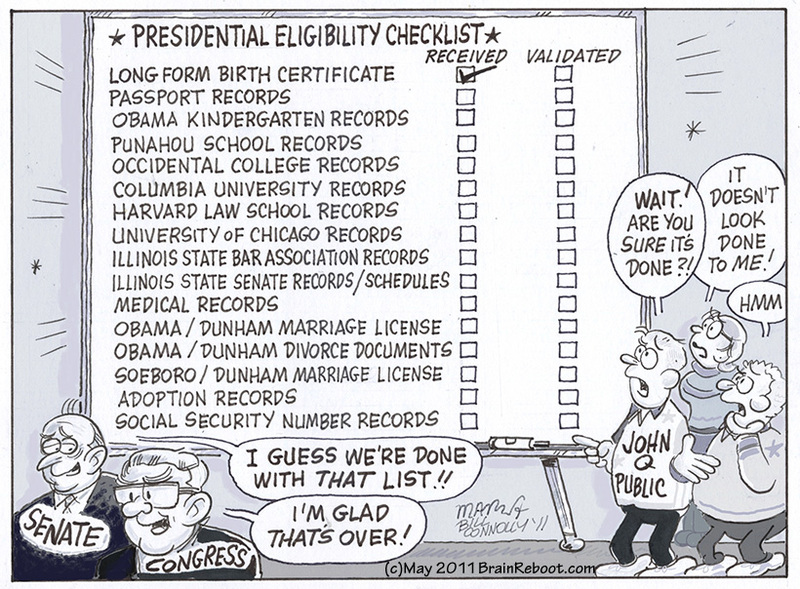 This cartoon asks the question. 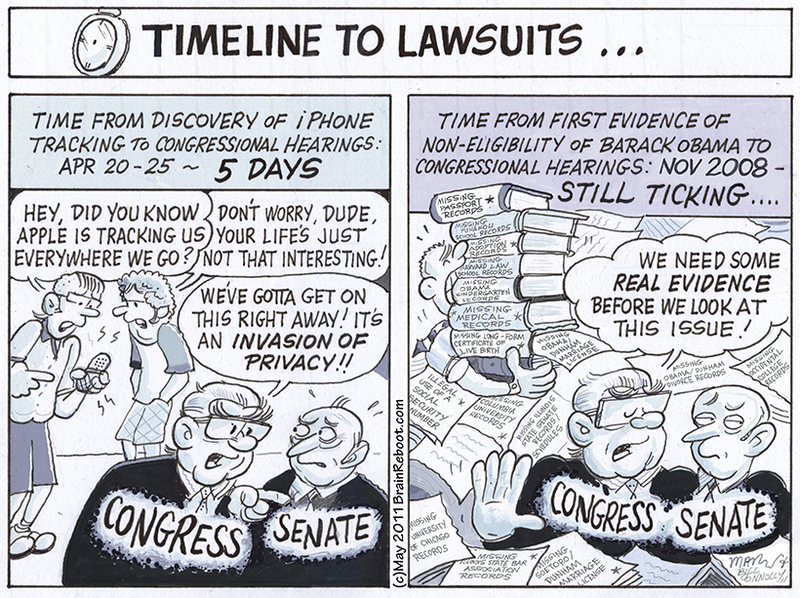 How come the congress, senate, and legal system can rush to investigations over relatively minor issues. But when it comes to really big stuff the issues are continually ignored. This cartoon illustrates the contrast.